We have always been committed to respecting the environment, choosing performance technologies and guaranteeing safe processes for people. Choosing to change, to reduce waste to produce more sustainable, does not want to be yet another catchy slogan. For us, even small daily gestures, which are repeated with awareness (and multiplied by an industrial reality), are enough to make the real difference in the environmental impact. Learning to use renewable resources, to produce recyclable waste, or to invest in established production technologies in the protection of the environment, is something that involves the whole supply chain. It becomes a collective contribution, a constant commitment of all, valid in the difficult present, as well as passing on to future generations. With the aim of reducing the environmental footprint, the sum of all the companies involved in the creation of a finished product; we have always given the maximum value to relationships with our suppliers, collaborators and customers. Conscious, that for how much we can engage in the research and development of innovative solutions, in creating articles eco-friendly, leather will always be the intermediate product of a long working chain. Protecting the community by reducing energy consumption, or limiting the pollutants emitted into the atmosphere and in the water, becomes as important as creating a circular economy integrated into the local socio-economic reality. Generate work and income to support the community, to ensure human and social well-being in the area, and to the people who live there. As a company, let's not forget that our goal is to provide the best product possible; without burdening it with unnecessary costs. And, the virtuosity of sustainability, allows us to save money, making everyone gain! We learn to recognize the value of local resources and services, adding technological innovation to the tanning tradition, in a market that is always changing like the global; obtaining the formula of success that binds MADE IN ITALY to GREEN ECONOMY for years. Our way of life is essentially a spinning wheel, it is up to each of us to keep the wheel moving, finding new ways of producing and exploiting energy. On this basis our projects started, aimed at a more GREEN production, and a 360 ° ECOSUSTAINABILITY. We all invest in sustainable production techniques, guaranteeing the work ethic aimed at protecting our planet and with it all of us! 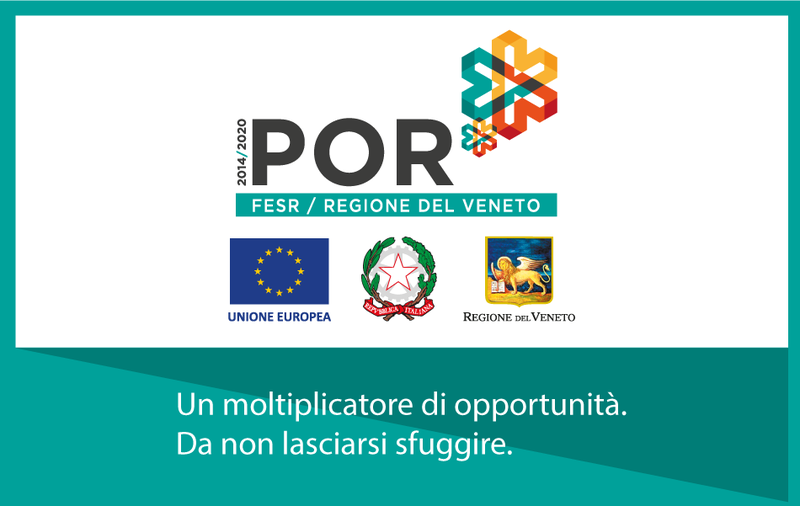 By investing in new technologies, and looking to the future with the installation of the latest generation plants, we have been admitted to the POR FESR 2014-2020 program of the Veneto Region. Making use of this contribution, we were able to organize the plant: in an energy efficient way, and less invasive for the environment.